Sturgeon’s Law: 90% of everything is cr@p.
Law of Computers: Garbage in = garbage out. Common-sense: The extremely rare ability to think clearly and to be mentally free of cognitive biases and rigid belief systems. Investing: Holding an asset for the longer-term and reaping profits from price gains or interest or dividends. 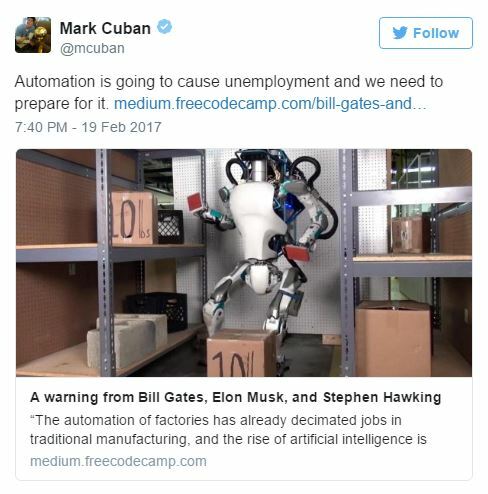 Job-robot: When a computer program or robot can take over a human’s job. Examples include much of the blue-collar factory work and mining and field work as well as typists, telephone operators, proof-readers, telemarketers, travel agents, bookkeepers, office assistants and even increasing numbers of new houses are pre-fabed by robots. Uber is starting to use robot drivers. The U.S. Air-force is now using robotic drones, the U.S. Navy has just released a drone warship on the open seas and NASA is currently producing a new human-like “Mars robot.” Japan is starting work on a new amusement park that will have no human employees, only robots. There is a good chance that the computer or hand held device that you are currently concentrating on was assembled by a robot; one robot making another. And now robots are coming after the professional jobs, even doctor’s jobs. If the job entails a process where “A + B = C” then this can work; think of a health problem where abdominal pain (A) plus black blood in the stool (B) equals a gastric ulcer (C). But is a computer really better than a living person? When was the last time that you got trapped in an endless and stupid telephone answering machine loop? And we recently learned that the Google driver-less car crashed into a public-transportation bus. CHART: Robot jobs up; human jobs down (chart courtesy of Bank of America). There will be no stopping this. 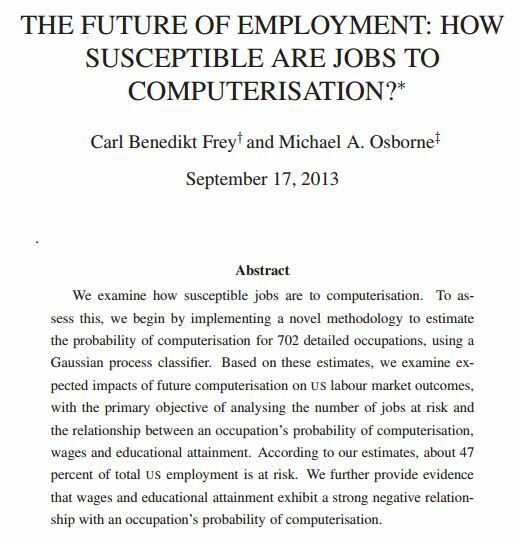 The following 2013 study indicates that robots will take about 47% of all U.S. jobs within the next 16 years. And this next snippet was taken off of CNBC on June 22, 2016. 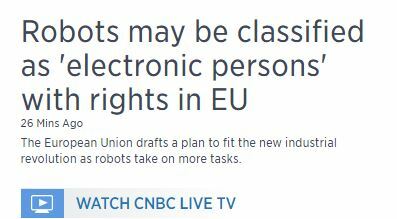 In 2017, the European Commonwealth will be voting to put “kill switches” into robots so that they don’t eventually turn on their humans, which by the way, is physicist Stephen Hawking’s greatest fear for our future. Headline from Business Insider on December 24, 2016 discussing comments from Dr. Angus Deaton to the Financial Times. 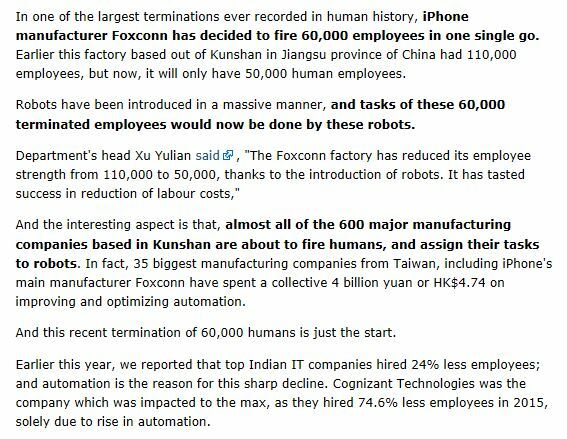 He expects millions of jobs to disappear. Robo-advisor: A computer program and website, created by a fallible and biased human programmer, that makes automated long-term investing decisions for investors. Robo-advisors currently “manage” around $60-billion as compared to the $20-TRILLION held at brokerage firms. Trust me on this: they are universally built on well known but faulty information, concepts and beliefs. As stated earlier in the blog, in most situations “A + B = C” but in investing it holds true that “A + B = ?” (as investors temporarily learned during the financial crash in 2008). Because people are in love with their computers and little mobile devices, these robo-advisor programs will continue to propagate as people rotate into them when conditions are good and easy for stocks and they will rotate out of them after they lose most of their hard earned money. Some will not like the prior sentence, but it is true. If you ask the wrong questions, you get the wrong answers; robo-advisors are built from the ground up by asking the wrong questions. Investing: A process that is impossibly difficult for most investors (and therefore also difficult for computer investing programmers) to understand and implement. Investing education: A self-taught process which takes countless hours over a period of decades and at an incredible cost (in losses) ending with a 90% chance of still not knowing anything because, as we saw above, “90% of everything is cr@p.” One must be tenacious in order to uncover the 10% that can actually make one wealthy. Based on Sturgeon’s Law, the likelihood of a human programmer being able to create a robust, hardy, viable and beneficial robo-advisor computer program where the investor does not lose their hard earned money? Again, according to Sturgeon’s Law, the answer is 10%. Person most likely to succumb to a robo-advisor? 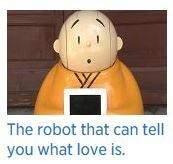 Anyone that has fallen in love with, and refuses to look up from, his/her computer and selfie-generating phone-device. Last Fall I was reading an article about how there are many Investment Advisors that now use robo-advisors for their own client investment advice, clearly showing that many professionals also do not know what they are doing. Importantly, the next recession or financial crisis will severely damage those investors that have put their trust in these computerized robo-advisors because market conditions change and the computer programs won’t; robots aren’t intelligent and even when artificial intelligence is created it won’t help with investing because so much of investing is irrational. Star Trek’s Mr. Spock would have lost his shirt in the markets. Computer savvy (and often young) investors seek out intuitive tools and this includes robo-advisors, but markets are actually counter-intuitive by nature, so good luck with that. And these robot advisors will never understand the art of investing. On April 1, 2016 the Massachusetts Securities Division (which usually leads the rulings in the other states) declared that robo-advisors, unlike living investment advisors, are incapable of acting as a fiduciary; this means that they have been officially ruled incapable of looking out for the client’s best interests. 90% of everything is cr@p.
Garbage in ? garbage out. When you ask the wrong questions, you get the wrong answers. Computer programs cannot deal with the market’s irrationality and counter-intuitiveness. Thank you for reading! Remember to buy things made in your home country by humans. You can SUBSCRIBE to this (no spam) monthly blog for free!